I am also curious about how can our blog come to limelight with those two categories. and also How can we write a guest post on blogadda. I think @teamblogadda can tell us what we have to do?? @teamblogadda I also having a blog with URI updatewithpratik.blogspot.com on my username @updateyourself want to delete that or should I send Email. @anaik100 that could be a very nice initiative by blogadda. there are many bloggers who started in the 2012 or in 11 and doing quite good, the thing is that you must understand the blogging field well and know what it really want. 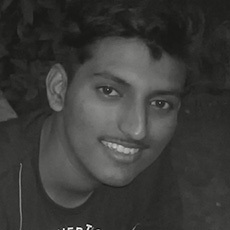 @vamsynkrishna My real name is Pratik but while opening account at blogadda back in 2011 I used updateyourself and now its stick to my pic forever. Thanks @teamblogadda for looking into this thread and making those improvements. oh and about that link in the footer, I don't know about it till you mention it here so thanks for that too. Blog commenting incl. "Commentluv" blogs :) Commenting on commentluv enabled blog is just invitation to spammers.